The Job has received rave reviews and it is easy to understand why. Its subject is an important one, the future of work in the digital age, and it is the kind of book that people like. Shell is a journalist who writes well, using eye-catching turns of phrase and telling innumerable stories to provide human interest. She taps in to the feeling that all is not well but, as the book progresses, shifts from heart-breaking stories to heart-warming stories, suggesting that we can do something about the problems that she has identified and that there is a bright future in front of us. Indeed, the book ends with a rallying cry: “Let’s shake off the dread and recalibrate our priorities. The Enlightenment ideal of human advance lifting us from a life of toil into a life of purpose and meaning is at our doorstep. We only need to muster the political will – and the trust – to answer the bell” (page 322). In the course of this progression from worry to hope, Shell makes some important points and raises important issues, especially relating to the place of work in society and in individual lives. Her focus on the impact of work on people is to be applauded and represents a valuable corrective to those academic tomes that, intentionally or unintentionally, depersonalise economic activity. Unfortunately, however, The Job is a deeply flawed book. It contains little by way of true economic analysis and, whilst most of the stories are interesting, Shell makes few attempts to analyse the extent to which each of them is typical or what lessons we may legitimately draw from them. More fundamentally, it is hard to know precisely what Shell is advocating. In the introduction, she states that “In what follows, I make the case to squarely place the innovation of sustainable and worthy work on our public agenda” (page 14) and she constantly refers to “good work”. However, she never defines what she means by this. In some places, she appears to have a somewhat romantic view of work in factories in the twentieth century (e.g. “For many workers, factories can be a kind of second home, and fellow workers a second family”, page 100) but she recognises that there can be no return to the past; in other places, she appears to equate a “good” job with a reasonably paid job (e.g. when she quotes statistics about pay in the United States, page 58) and the subject of the book is largely paid work, although she also recognises the value of unpaid work. More fundamentally, she appears to agree with Michael Pratt that “the quest for meaning through work is among life’s most powerful drivers” (page 97), yet she also suggests that we should not be seeking meaning through work, (page 134). It is hard to work out exactly what she believes the problem to be. Having apparently, in the early chapters, lamented and explained (at least to her satisfactory) the decline in “good” work and asserted that we need to respond “as good jobs grow scarcer” (page 134), towards the end of the book, she dramatically states that “our National Work Disorder is not really about scarce opportunities: there will always be more than enough good work to go around” (page 319). Unsurprisingly in light of the confusion as to the nature of the problem, Shell’s “solutions” are unclear. She states that “For many if not most of us, the first step is to question the hard-held assumption that we must make ourselves a good fit for the job rather than create work that is right for us, work that we control rather than a job that controls us” (page 66). Yet later she quotes Michael Pratt as saying that “it’s a dangerous business to advise young people to ‘follow their passion’. Most of us never find one, at least not one that pays the bills” (page 106). She is equally confused in relation to job stability. Having early in the book demonstrated the decline of the life-long job, one of the stories towards the end of the book illustrates the warmth generated by one particular initiative by quoting an employee who states that they “plan to spend 40 years with this company” (page 310). Shell gives no warning that this may be a pipedream. The detailed “solutions” put forward in the second half of the book are a hotchpotch of ideas which Shell would doubtless defend on the basis that they illustrate the fact that there is no one over-arching “solution”. However, the solutions themselves are full of contradictions and lack adequate analysis. For example, she spends some pages talking about promoting arts and crafts and asserts that “for every hundred jobs created directly in the arts, sixty-two more jobs blossom in retail, information technology, manufacturing, hospitality, and food service” (page 201). However, she appears to have forgotten what she herself has said about the unreliability of craft production (page 99) and the far greater leveraging effect of heavy industry (page 177). Likewise, her feel-good stories about cooperatives, employee ownership, the use of wasteland and small manufacture, whilst illustrating initiatives that are commendable and doubtless enriching the variety of economic and societal activity, smack more of romanticism than serious proposals for economic change. One of the big problems with Shell’s proposals is that she gives no evidence that they are scalable. Some of Shell’s other ideas leap from nowhere and are inadequately worked through or justified. These include the suggestion of modifications in the tax structure to incentify employers to create “not just more jobs but better jobs” (page 236) and the suggestion of a “Basic Income Guarantee” (page 315ff). Shell might respond that, in some cases, she is merely noting what others have suggested and, in others, she is merely putting forward ideas for further discussion. However, if this is the case then the book is saying little that is new, which is not its claim. Following a deluge of stories towards the end of the book, Shell says, “Great stories, sure, but you have every right to ask, “What’s your point?”” (page 311). Indeed we do and this question may be applied not only to the stories in the chapter in which it appears but to the book as a whole. 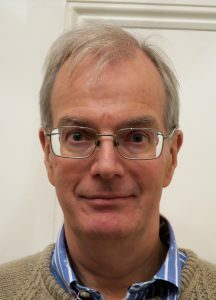 It may well be that one of the main reasons for the popularity of the book is that, by asserting so many different things (including things that are contradictory), by avoiding specificity and clarity and by not committing unequivocally to particular ideas, the book can be all things to all people (at least those of a mildly centre-left disposition). In any event, whilst many will enjoy reading The Job and will be stimulated by parts of it, those who are seeking careful analysis and clearly worked through proposals need to look elsewhere. 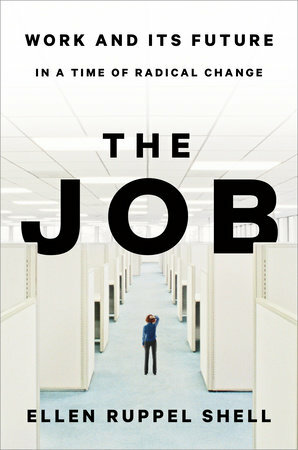 “The Job” by Ellen Shell, was published in 2018 by Currency, an imprint of Crown Publishing Group, a division of Penguin Random House (ISBN 978-0-4514-9725-3). 326pp, plus notes.